​A strange encounter with an “orb-like” object over her home in Northampton, Massachusetts in 1961, would set housewife, Stella Lansing, on a path of mystery and wonder. The object appeared to be observing her, before it suddenly zoomed towards where she stood. It hovered only yards away from her, before shooting away and disappearing. ​Although another four years would pass by before another encounter, she would soon start to see these mysterious objects more and more regularly. The East Coast Power Blackout of the United States in 1965 plunged residents on the eastern seaboard into darkness and fear. Lansing was no different. While driving to a friend’s house to deliver candles to them in the middle of the blackout, Lansing would see the orb-like object again. She was alone on the road, except for the orb that appeared to follow her, weaving in and out of the telephone poles along the way. ​Out of nowhere, a menacing dark car appeared on the road alongside her. For reasons she couldn’t explain, she believed that the orb was “driving the car!” It eventually pulled over to the side of the road and came to a stop. Lansing kept her vehicle moving, noticing that the orb had also changed direction, and was now heading over the fields that ran alongside the highway. She kept the orb in her sight until she could no longer see it, and then carried on to her friend’s house. 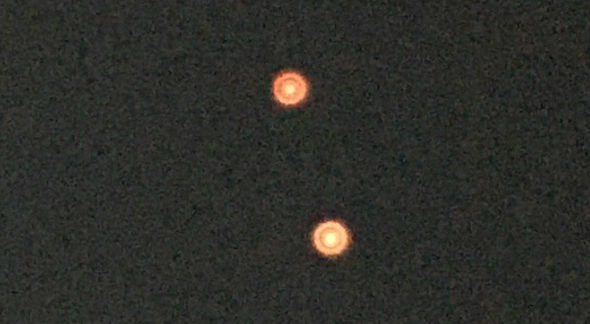 Incidentally, many researchers have drawn connections with strange UFO sightings and the East Coast blackout, with some even going as far as to suggest that these aerial objects were directly responsible for the power failure. You can read more about that here. Over the following months, both Stella, and her children, would see the orb objects on a regular basis. Sometimes they would remain stationary, at others they would appear to be following them. However on Halloween night, 1966, the experiences took a terrifying turn. She immediately started up the engine and screeched away from the scene. A quick look in her rear view mirror told her that the figure had managed to bring itself to the banks of the lake and was now standing completely upright. It then began to run towards an orange orb of light that had appeared out of nowhere. A strange mist seemed to be emanating from the orb. The figure from the lake continued on its path towards it. Suddenly, a much larger, red orb “swooped down” and then zipped away into the distance. The figure was nowhere to be seen, but the lights had also been witnessed by two of Lansing’s neighbours. ​Although Stella had been attempting to capture pictures of these objects for some time, following the Halloween encounter by the lake, she obtained an 8mm camera. If she simply recorded the events, then she would surely catch more of what she was seeing for analysis. What she did capture when filming with the 8mm camera, would push people’s mind to the limit in attempting to find an explanation. ​It was on 18th February 1967 – almost three months since the Halloween encounter – when Lansing used the 8mm camera in an attempt to capture the strange orb phenomena she had been seeing since the start of the decade. Driving along Route 32 in Northampton, she noticed the lights overhead, and immediately brought her vehicle to a stop. Another car had also pulled up to take a look. 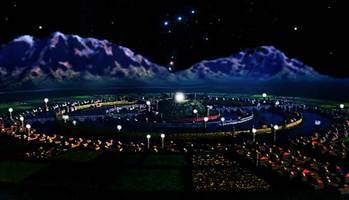 She flicked the camera into action, recording the scene in its entirety as the lights danced and moved in the sky. Another light, this time blue, joined them from the distance. An onlooker joined Stella on the road to observe these bizarre events. Both stood in awe when out of nowhere a blinding white light enveloped the area, and the orbs shot up into the air at amazing speed. ​It would be over a year later in April 1968 when Lansing finally obtained a projector in order to watch and examine the film in detail. Even more to her liking, the projector featured the latest technology that allowed her to slow the frames down to two frames per second. It was this technology that would highlight the amazing, and chilling, images contained on the film. 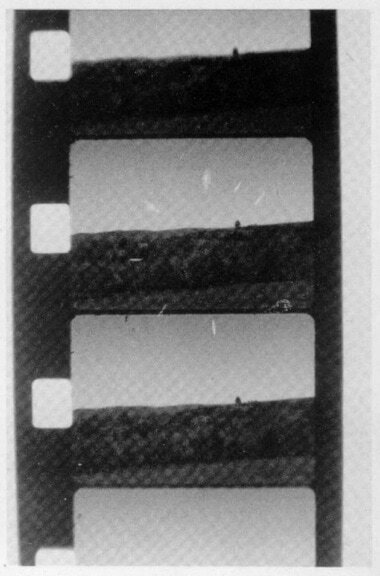 ​Stella continued to notice strange images and symbols on frames of her films over the years. One that continually came up was what appeared to a clock pattern that was imposed across frames themselves. One of these became known as “The Monk” – you can view a short video on that particular image below. 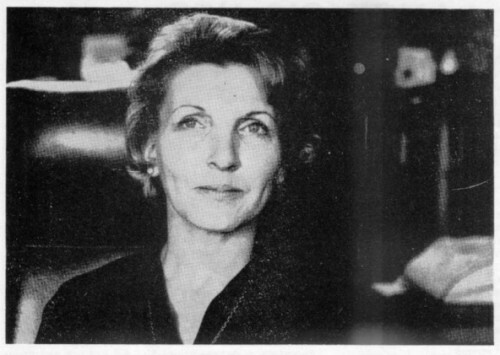 ​In 1971 – a decade since the orbs had first made themselves known to Stella, she would meet Dr. Berthold Eric Schwarz at a UFO conference. Dr. Schwarz had a keen interest in the paranormal – including ufology – and was extremely interested in what Lansing had to say. Particularly when she offered to show him the proof of her claims in the films she had shot. Schwarz performed extensive medical, physical and neurological examinations of Lansing – all of which came back perfectly standard and normal. However, he soon learned that years of sightings and being witness to strange activity had more than taken their toll on Lansing, mentally. So much so, that she had voluntarily entered the state hospital for psychiatric evaluation in 1967. It was determined during her stay there – at least by the doctor in charge of her case - that she was a Paranoid Schizophrenic. 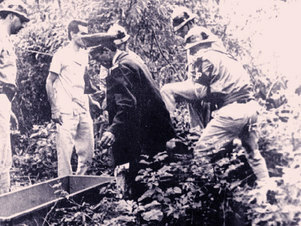 This caused her to suffer hallucinations, which resulted in the sightings of UFOs that she witnessed. The fact that Lansing claimed to have had communication with “Beelzebub” himself didn’t appear to help her case. ​Schwarz – given that Lansing was not overtly religious, and hardly ever spoke of religion – believed that assertions of speaking with the Devil was merely her mind attempting to make some kind of sense of the strange things she was witnessing. Far from being crazy, this really showed Stella to be perfectly normal given the years of strange events she had seen. The more time he spent with her, the more convinced Schwarz was of her authenticity - even more so when he witnessed the strange phenomena for himself. 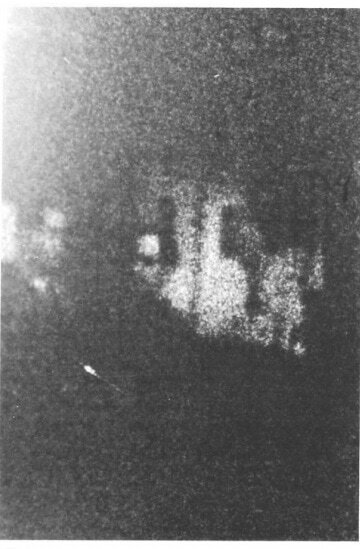 On 15th April 1971, Schwarz, Lansing, and an unnamed women, made their way to a particular spot where many of her sightings had taken place. It was late night, and as the car was brought to a stop and the headlights killed, the three of them were plunged into darkness. However, it was only a matter of minutes before they were joined by a pair of glowing yellow orbs above them – just as Lansing said would happen. On this particular evening though, while the three of them stood in awe of what they were seeing – a strange, black car approached them quietly. 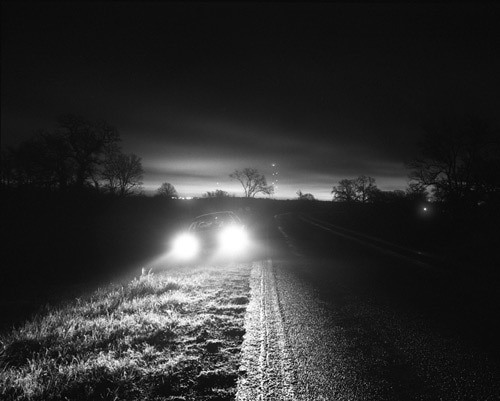 As it came to a stop, it shot out its headlights on full beam, purposely alerting them to its presence. What followed is what many would describe today, as a Men-In-Black-type experience. ​Schwarz would later recall of the incident that the headlights flashed at them in a manner that suggested a form of communication – perhaps even a warning. All the while, Schwarz filmed the encounter, and confirmed that one of the orbs was hovering over the car. Was it controlling it? Remember the incident during the power blackout of 1965 where Lansing had witnessed a very similar car, had her thinking that the orb was controlling the vehicle. As an interesting side note, assuming for one moment that the vehicle was controlled by the strange orb, many people who have had Men In Black encounters that have seen the vehicle’s occupants, have commented how “unhuman” they were. If there was any doubt in Schwarz’ mind that Lansing may be behind some kind of elaborate hoax that had been dismissed following this latest encounter. For some reason, these orbs were seemingly attracted to Stella Lansing, and what’s more, she seemingly had the ability to capture images that are unseen to the rest of us. 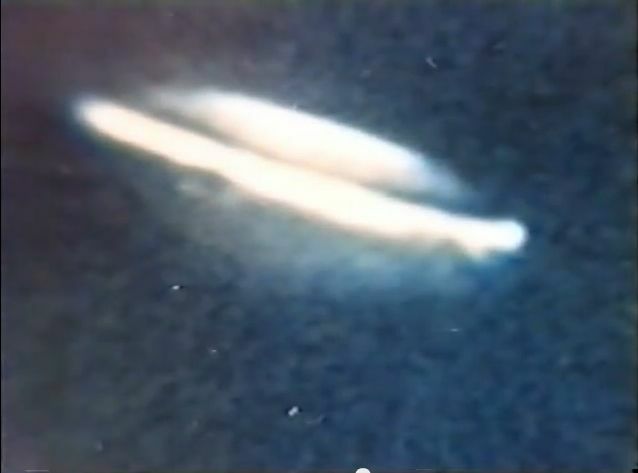 However in 1991, when a television show (Sightings) picked up on Lansing’s story, they obtained the film and transferred it to VHS tape for purposes of the broadcast. 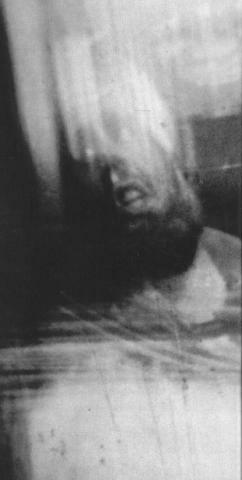 The picture that showed “The Occupants” image, when viewed on the newly transferred VHS tape, now contained strange and mysterious voices, only audible over this particular section of film. To say it shocked all those involved, including Lansing, is an understatement. Stella Lansing continued to research the phenomena she managed to capture and tap into. However, at the time of her death in 2012, she still had no answers as to what she was seeing, or why. There is undeniably a connection between the strange sightings Lansing experienced and the bizarre images she captured in her film. Was that some kind of unintended consequence? Or were they some kind of message or attempts at communication? Perhaps they were even images of another dimension or reality? All theories are on the table it would seem. Check out the video below. 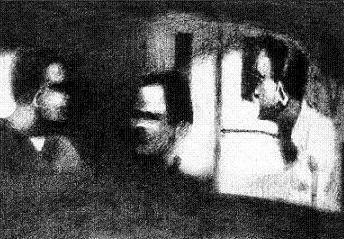 It shows the aforementioned episode of the television show that revealed the strange voices on “The Occupants” image. ​When Art And Sorcery Combine? 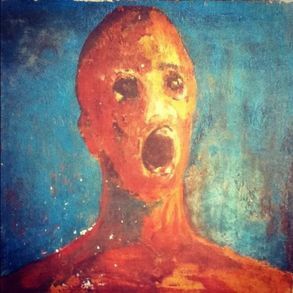 Very Haunted Paintings That Really Exist! ​ The “Lead Masks” Case – Two Strange And Mysterious Deaths On Vintem Hill!